The Milwaukee Brewers saw their four game road winning streak come to an end on Saturday, falling to the Central Division leading Cincinnati Reds 7-5 at Great American Ballpark. Zach Davies struggled again early and racked up a high pitch count (96) by the time he got through the fifth inning. This time, the Brewers bullpen didn’t lend a helping hand, as Carlos Torres surrendered three runs in the sixth inning and Jared Hughes gave up a run in the 7th. Scooter Gennett’s stay with the Milwaukee Brewers came to an end on Tuesday when he was waived and eventually claimed by the Cincinnati Reds. 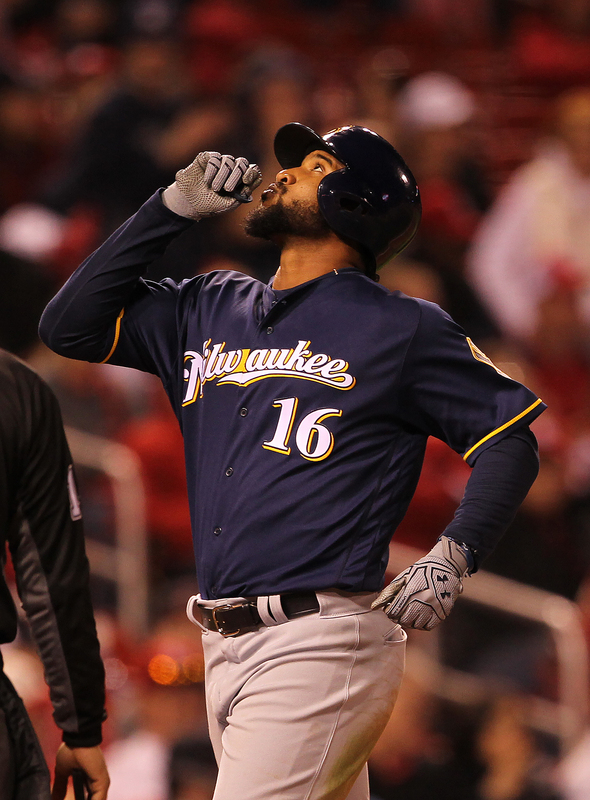 The Brewers had looked to trade Gennett since the end of last season, when they made the decision to move Jonathan Villar to second base. 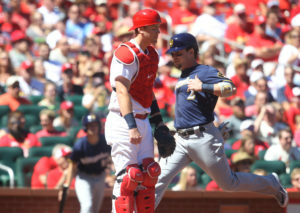 But the Brewers couldn’t find a trade partner and Gennett came to training camp, trying to hook on in a utility role. 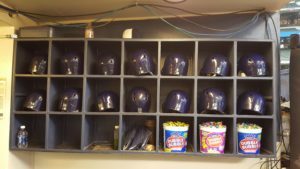 The Milwaukee Brewers picked up their first Cactus League win of the spring, knocking off the Texas Rangers 5-0 in Surprise, Arizona. 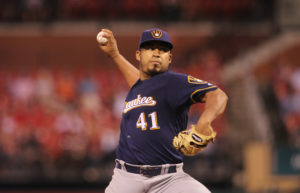 Brewers starter Junior Guerra struck out two in an inning of work. Six other Brewers pitchers combined to hold the Rangers to just two hits the rest of the way. Former Ranger outfielder Lewis Brinson was 3 for 3 with a double and a rbi for the Brewers. Scooter Gennett and Orlando Arcia also added a pair of hits. 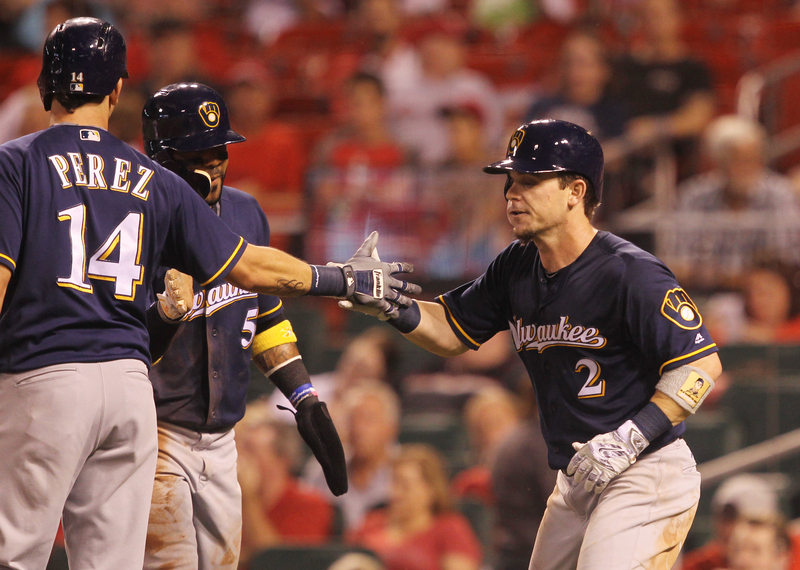 The Brewers are scheduled to face the Kansas City Royals this afternoon in Phoenix. Opening Day is now just 34 days away, April 3, against the Colorado Rockies at Miller Park. 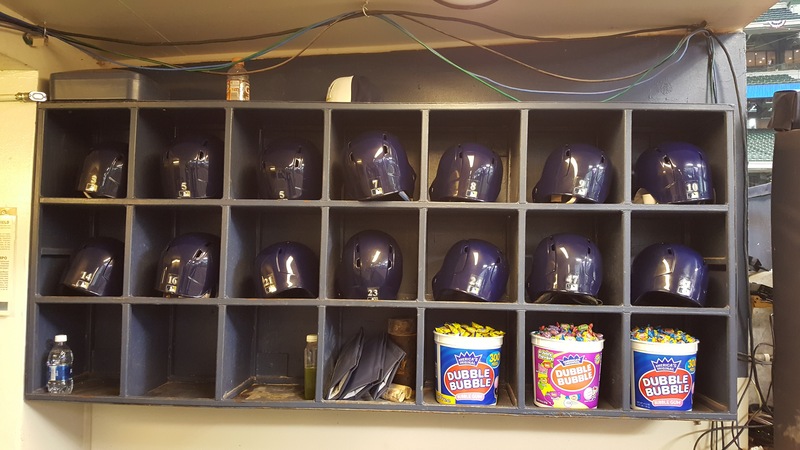 The Milwaukee Brewers opened their exhibition season with a 11-0 win over UW-Milwaukee at Maryvale Baseball Park in Phoenix on Friday afternoon. Top Brewers prospect Lewis Brinson homered twice and drove in four runs. Jesus Aguilar added a three-run blast and Scooter Gennett, who played in left field on Friday, also homered for the Brewers. The Brewers open Cactus League play today against the Angels in Tempe. The Milwaukee Brewers sent reliever Tyler Thornburg to the Boston Red Sox today for third baseman Travis Shaw and minor leaguers Josh Pennington and Mauricio Dubon, as well as a player to be named or cash. Shaw gives the Brewers another left handed power bat after hitting .242 with 16 home runs and 74 rbi’s last season. He appeared in 145 games for the Red Sox in his first full Major League season. He had five RBI games four times last season, tied for the most such games in the majors. In year number-one of a rebuilding plan, the Milwaukee Brewers surpassed the victory total from last season, knocking off the Pittsburgh Pirates 3-1 in the series finale at Miller Park. Scooter Gennett and Chris Carter homered, backing another solid outing by starter Chase Anderson. It is the 69th win of the season, guaranteeing a better finish then the 68-94 mark of a year ago. The Brewers jumped out to a 2-0 lead in the bottom of the first when Jonathan Villar drew a leadoff walk and Scooter Gennett followed with a home run. Gennett ran his hitting streak to 14-games and his 128 hits on the season is a new career high. Carter clubbed his home run in the bottom of the 7th, his 37th of the season. He also has 88 runs batted in. Carlos Torres, Corey Knebel and Tyler Thornburg combined for 3 1/3 innings of scoreless relief with Thornburg nailing down his 12th save. Zach Davies (11-7) takes to the mound tonight as the Brewers open their final home series of the season against the Cincinnati Reds. Junior Guerra tossed six scoreless innings to help the Milwaukee Brewers blank the Cincinnati Reds 7-0, at Great American Ball Park. Guerra improved to 9-3, one win shy of team leader Zach Davies, who has ten wins. Scooter Gennett clubbed a two-run home run and Domingo Santana added a three-run blast to help the Brewers avoid a sweep. Guerra was making his third start since returning from the disabled list on September 2. He held the Reds to just three hits while walking two and striking out five. Guerra’s ERA dropped to 2.81. He also continued the Brewers string of strong starts. The six-man rotation’s ERA is now at 2.73 over the last 23 games. The Brewers will open a four-game series in Chicago against the Cubs tonight. The Cubs magic number to clinch the Central Division is down to one.